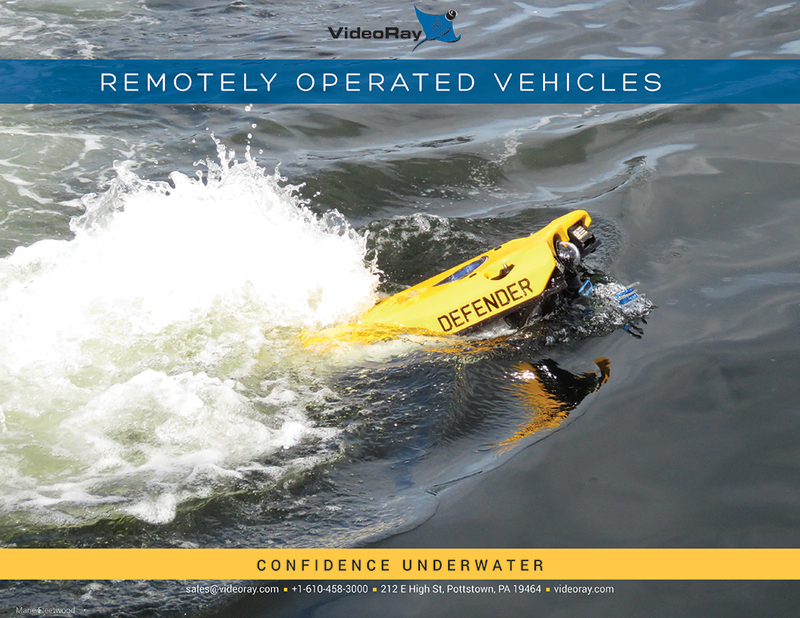 The VideoRay Explorer ROV Systems have been configured for ROV users who require more functionality than the Scout ROV systems but still have a limited budget. 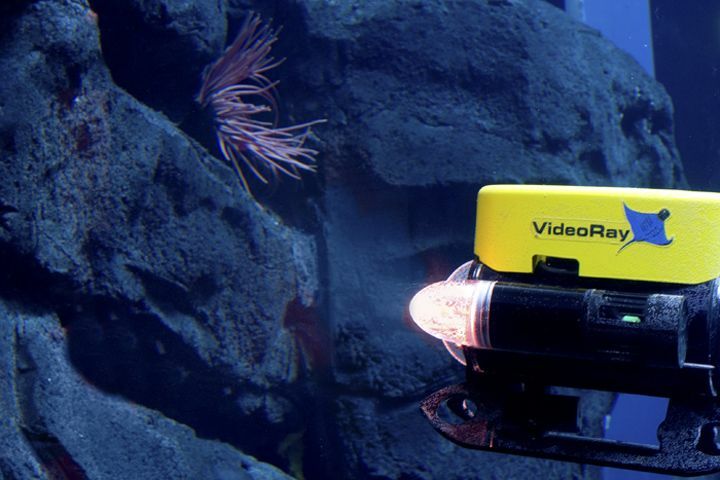 The VideoRay Explorer ROV systems add a higher resolution, 160° tilt color camera, water depth readout, auto depth feature, compass heading readout, and run time meter with the same 76 m (250 ft) depth rating that the Scout carries. 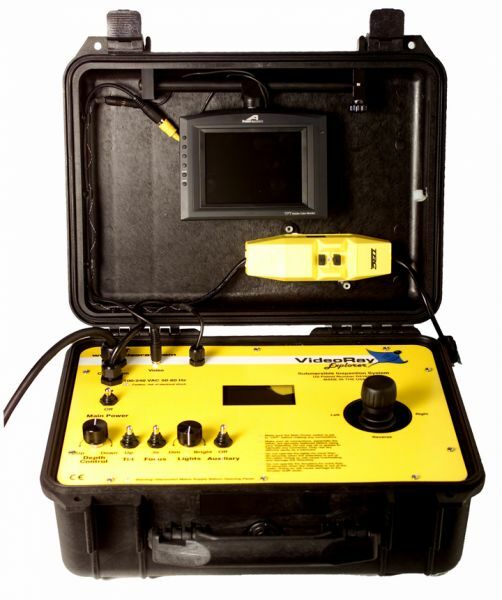 Explorer ROV systems lack the ability to attach any of the accessories compatible with the Pro 3 and Pro 4 systems. 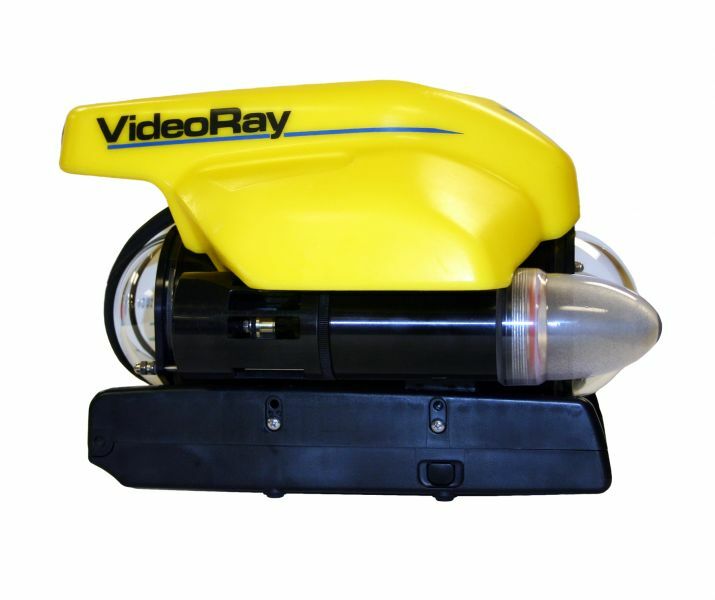 VideoRay Explorer ROV systems are typically reserved for simple interior inspections in a calm underwater environment and for public museum and educational displays. A VideoRay Explorer ROV permanently installed as an educational display in the Bishop Museum in Hawaii. The Explorer Control Panel has been modified to withstand constant use from visitors. Looking up at a VideoRay Explorer ROV submersible. 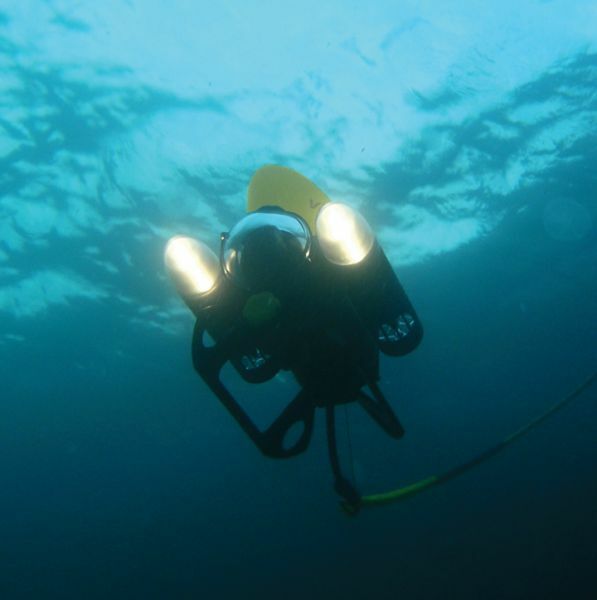 The Explorer submersible weighs only 4.1 kgs (9 lbs) and has a depth rating of 76 m (250 ft). It also has a vertical tilt camera spaning 160 degrees. The Explorer ROV Control Panel has a small 7 inch LCD display and knobs controlling horizontal and vertical motion of the sub as well as the halogen lighting. There is also an LCD display showing depth and compass heading. The Explorer also has an auto depth feature.